You can't really see it there, but it's in the bottom left hand corner, amongst the rotting cabbage. And trust me, it's alive. As is my daughter, who returned to us today from her holiday home in St Leonards. I asked her if she had a nice time, and she said that she did, but that she wanted to come home yesterday. 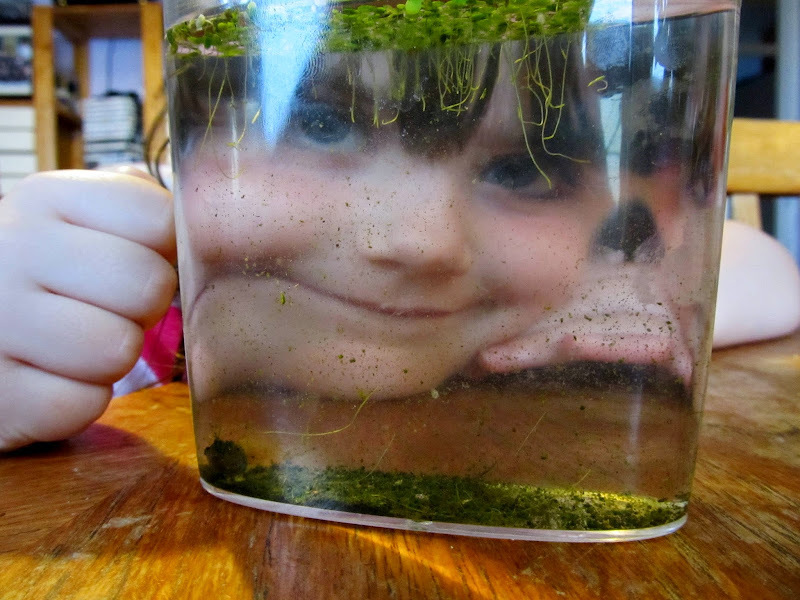 When I asked her why, she said "Because I was missing Mummy and my tadpole". I'm used to coming third behind Toby, but I've now been bumped down the most-loved list by a half-dead amphibian. I wish I'd taken Lisa's advice and flushed it down the toilet. It quite suits her, to keep her in a small tank. You should do it more often.